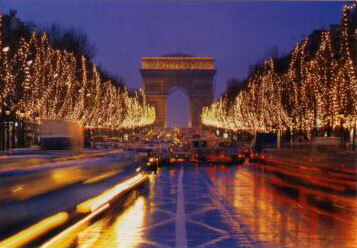 Paris at Christmas time 9 days hosted tour. Discover Paris at Christmas time- the Eiffel Tower sparkles with festive lights, the cheerful shops and streets are radiant with Christmas decorations, the food and wine is irresistible… Included in your tour is a guided excursion to the opulent Palace of Versailles, a river cruise along the Seine, transfers to the airport and the services of a Trafalgar representative. ‘Christmas in Paris’ is simply magnificent. Sightseeing with specialised local guides in Paris and Versailles. * Package price per person, twin or double occupancy land only (not including transatlantic airfare from USA).